This is the time of the year when the data geeks at J.C. Williams Group get to dive into the numbers from our Canadian E-tail Report semi-annual survey of Canadian online shopping habits. 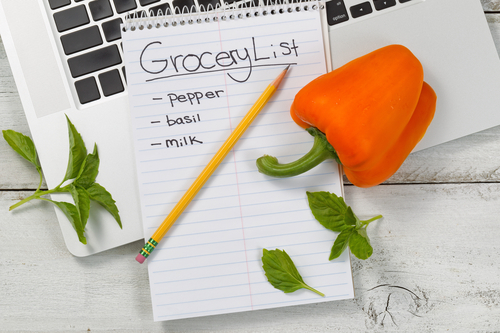 This time, we have included grocery as one of our categories and there is some great information there. First let’s look at the grocery category. The grocery sector is second only to automotive in terms of size. Generally, grocery has been considered to be immune to online shopping because the customer wants the goods immediately and they want to select the product to ensure freshness and ripeness. Is grocery ready for disruption? There seems to be some indications that this is happening in other countries that are more online-mature and where players have popped up to take a run at this category. However, there has been a relatively high failure rate as well. Our data suggests that the Canadian consumer may be more ready to buy groceries online than retailers think they are. Fifteen (15%) of Canadians surveyed for the Canadian E-tail Report said that they had bought groceries online in the past year. Admittedly, their spend was only a small part of their overall food purchases. But, given the barriers, we find this number interesting and will continue to track it as large Canadian retailers, like Loblaws, invest in online shopping. So what groceries are Canadian shoppers buying online? Of those who bought groceries online, snacks and sweets (15%) and packaged/canned goods (12%) topped the list of items bought. While there are some specialty suppliers servicing Canadians from within the country, we see this as an area where much of the shopping is being done from other countries. One look at a website like Harry and David shows why this is happening. Not only does the product look delicious, but also the packaging (and in some cases the ability to add wine to your selection) entices the shopper. There are many hurdles that need to be overcome before grocery shopping will become more mainstream. Another data point from our study suggests that 57% of food shoppers were satisfied with their online shopping experience. While this may sound good, compared to shopping satisfaction with Toys and Games (81%) and Entertainment (books, music) (79%), grocery has a long way to go before it can compete with other categories in the online world. We think that it is only a matter of time before more of the $140.3 billion spent annually at Canadian grocery retailers is going to end up online. Our money is on an evolution of the more specialized areas in grocery that are less price sensitive, so potentially more lucrative. Organics and supplements or products for specialized diets are prime for disruption. Look at Thrive Market that sells well-known brands at up to 50% off online and this will give you an idea of what is coming. Canadian retailers including Loblaws and Well.ca are working hard to crack this business so we are looking forward to measuring how this will evolve.